I have been a writer for Search Engine Land for 5 to 6 years now. A couple week’s ago, I noticed a change on their website that was genius. In addition, as a contributor, I was able to experience the results first hand. Why would Search Engine Land and Marketing Land do this? Well, first, I want to say I have not discussed this with them. I am simply putting my own thoughts out there. But with that being said, I can give you a few good reasons. The most obvious reason, is that this is really a tiny form of growth hack. Instead of getting one comment, this tweak makes it so that if someone wants to engage, they have to do it on social media. Using my account for an example, if I leave a comment on Search Engine Land only a few people see it. But if I comment on my Twitter profile, over 20,000 people see it. This makes it so that each time there is an interaction, an entirely new audience is engaged. We can see they have listed Facebook, Twitter and LinkedIn as the main websites to interact with. They have done this to promote shares and engagement on those social sites. In addition, they want to grow their communities there. The larger the social media communities on those sites, the bigger the distribution they have for each article. This of course leads to more traffic, page views, and benefits contributors and advertisers. 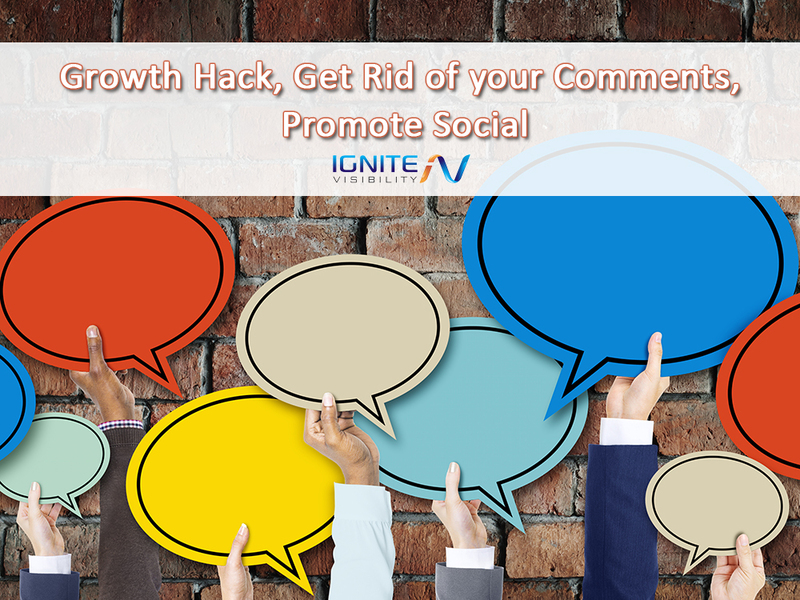 Generally, many people think that comments can help your SEO. But, that is not always the case, especially if your commenting gets out of hand. Also, there is a lot of fear around comments now, especially after John Mueller recommended to Barry Schwartz over at Search Engine Roundtable that he removed comments to fix his Panda issue. Barry is a very popular SEO blogger who gets more comments than most SEO websites. The main issue was that there were so many comments, many with negative language (cursing) or broken English, that the length of the comments overpowered the rest of the content on the page. Thus, reducing the quality of the content. One other thing to point out is that there are some pretty negative comments online. People will in some cases be more polite on social media, when they know all of their friends and followers are watching. This makes it so that in a way, the social media commenting option is self-regulating. At the end of the day, this was a very calculated move by SEL and ML. They have some tremendous SEO abilities there and now are showing some innovative growth hacking skills as well. This is one of the first sites I have seen do this. But moving into the future, I expect to see many more that simply force you to engage only social media opposed to allowing people to comment. Since they have done this, I have seen a significant lift in social interaction. While I see what they are doing and can appreciate what they are doing, I think it’s inefficient and frustrating if you want to leave a quick comment on something you read (like I’m doing now). Why force me to move the discussion to a social media platform? I don’t want to take that extra step and I’m not interested in sharing my comment on a social platform. I just want to read the piece, leave a quick comment, and move on. Consequently, I’ll never comment on any of their content and I suspect many people are in the same boat. The best part of Search Engine Land was the reader comments. Removing them did zero for their rankings and has lost a ton of readers. They need to take their Google Leash off and join the real world. Seems Google has them chasing their SEO tails now. I won’t be using that site anymore without the helpful comments.